"Bill Patenaude is an important and powerful voice: an environmental regulator by trade, he ... unfailingly provides serious, in-depth, knowledgeable writing for Catholic environmentalism." Dr. David Cloutier, Commonweal. Bill Patenaude is an engineer (URI, '86) and holds a Master of Arts in theology (Providence College, '11). He is a 30-year employee with Rhode Island's Department of Environmental Management, for which he has received numerous state and federal awards. He has been speaking and writing about the Catholic perspective of ecology since 2004, most especially at The Rhode Island Catholic. 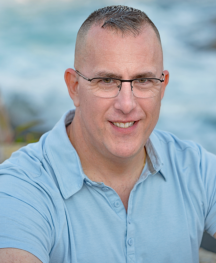 Bill has served as a special lecturer in theology at Providence College and writes for national publications, including Catholic World Report, Ignatius Insights, and Earth Island Journal. He's provided analysis for The National Catholic Register, the Catholic News Agency, Associated Press, National Geographic, The Boston Globe/Crux, The Washington Post, and The New York Times. Most recently, Bill has published his debut novel, A Printer's Choice, which uses the popular genres of science fiction and murder mysteries to examine the influences of faith and the power of free will. Set in a world damaged by eco-crises and climate change, the novel asks important questions about the choices humanity is making today. 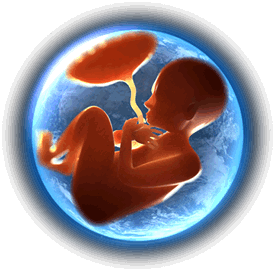 (Read a review by Marybeth Lorbiecki, which looks at the story's eco-implications.) 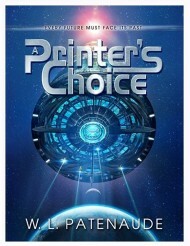 A Printer's Choice is available at Amazon and Barnes & Noble. ﻿Bill's graduate thesis examined the influences of St. Bonaventure on Joseph Ratzinger/Benedict XVI. Patenaude argued that a young Fr. Ratzinger's observation that a Church that "seeks peace in the future is nonetheless obliged to love in the present" echoed throughout his life and influenced his views on issues like ecology. And so it should for all Catholics. Bill serves on the board of the Saint Kateri Tekakwitha Conservation Center, is a founding member of the Global Catholic Climate Movement, and is a Knight Commander of the Equestrian Order of the Holy Sepulchre of Jerusalem. View Bill's LinkedIn profile for more.